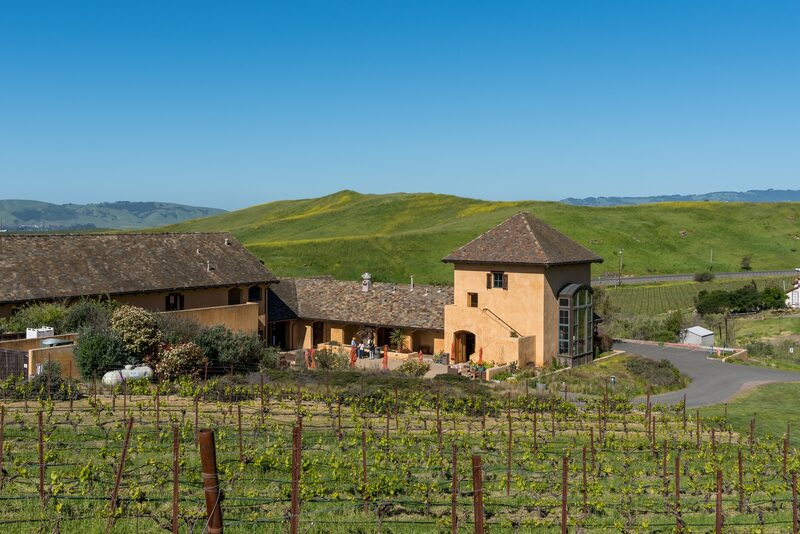 Nicholson Ranch vineyards were first planted in 1995 on land that was a former cattle ranch. Deepak Gulrajani planted Chardonnay, Pinot Noir, Merlot and Syrah over the next three years. The estate vineyards are planted on the southern tip of the Mayacamas Range where volcanic slopes meet marine sedimentary soils. The San Pablo Bay and the Petaluma Gap act as conduits, funneling chilled air and fog into Nicholson Ranch. 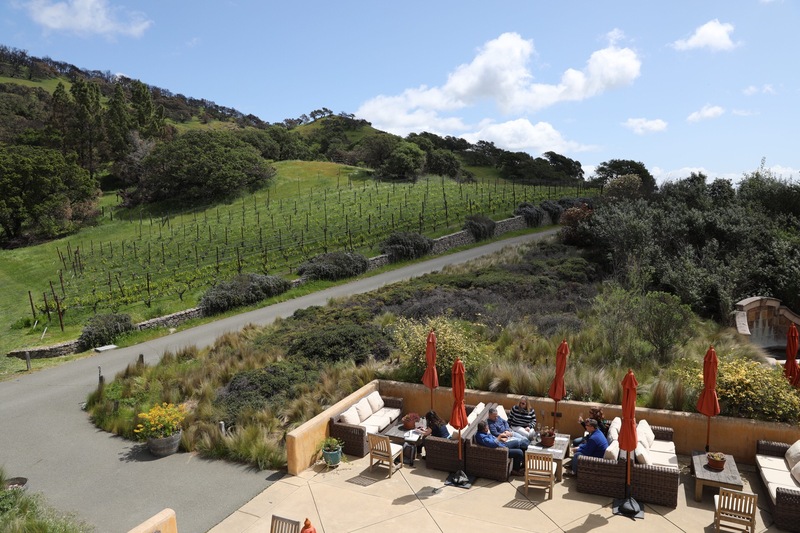 Warm days and cool nights mean Nicholson Ranch vineyards have climatic conditions that enable the production of elegant red varietals, and fresh whites. The soil diversity of the estate requires us to manage the vineyards block by block, a practice that results in complex wines that showcase a true sense of place. Fourteen acres of Pinot Noir are planted in Dijon clones 113, 114, 115, 667 and 777. Thirteen acres of Chardonnay are planted in Dijon clones 76, 95, 96, and UC Davis 4. The plantings are rounded out with two acres of Merlot and one acre of Syrah. Nicholson Ranch has a commitment to maintain the health and fertility of the land by using sustainable farming practices. To this end, predominantly natural and organic methods of vineyard management are employed. We do not use Round-up or any herbicide in the vineyard. Rather than spraying insecticides, Nicholson Ranch prefers to work with Nature—the natural rhythms of the Earth—by encouraging raptors, snakes, owls and beneficial insects to thrive. We plant beans, grain and mustard in between rows to assist with the nutrition of the soil. Special compost made of grape humus and goat droppings is spread under the vines. Employing deficit irrigation, or dry farming, has resulted in optimal concentration in Nicholson Ranch wines. Most vines are cane-pruned according to individual strength and the vigor of each site in order to achieve optimum balance. 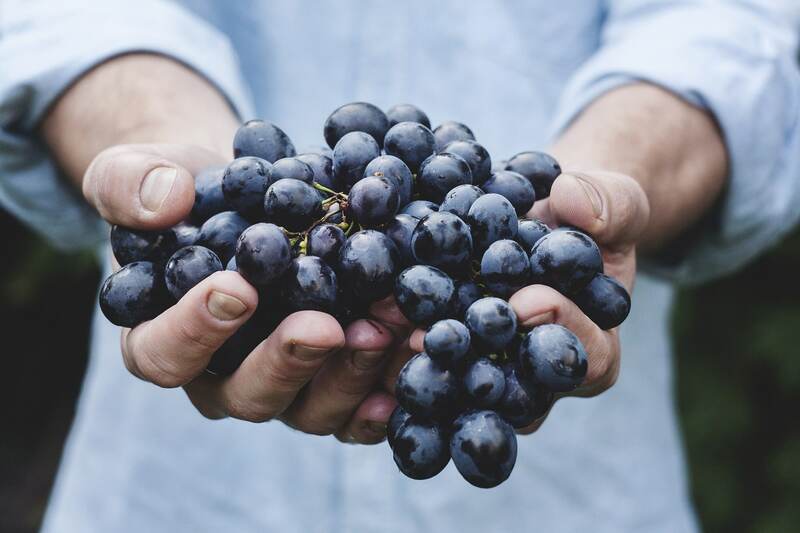 Finally, the grapes are picked in small lots allowing them to be harvested at perfect ripeness. Nicholson Ranch strives to produce wines that have true varietal character and are an expression of the soil from which the fruit is grown. This requires great attention to the farming process and minimal intervention during the winemaking process. All Nicholson Ranch wines are made from estate-grown grapes. Deepak supervises each harvest day. Grapes are harvested on fifteen to twenty days in September and October. Each block is harvested at optimal ripeness to maximize flavor and balance. Harvest usually begins at dawn and sometimes overnight on hot days. All the grapes are harvested by hand cluster-by-cluster. Deepak sorts the grapes in the field to ensure only the best quality fruit makes it to the winery. The unique five-level, gravity-flow winery allows for the gentlest handling of the grapes. Chardonnay is pressed whole-cluster, very gently, to extract the flavorful juice with no bitterness from crushed skins or seeds. 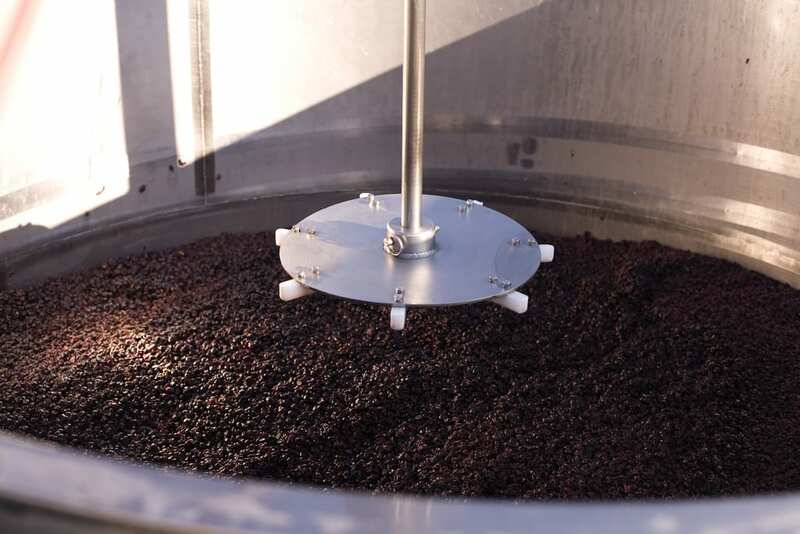 Red wines are destemmed on the crushpad at the top-most level of the winery. The whole berries are dropped into fermentation tanks one level below. Grapes are soaked in their own juices for five to seven days. Cold-soaking allows for maximum color and flavor to be absorbed without any harsh flavors from stems and seeds. We allow native vineyard yeast to begin fermentation letting the process proceed naturally over two to three weeks. Chardonnay is fermented in French oak barrels that add flavor and texture to the wine. The combination of native yeast, barrel fermentation and oak aging create a distinctive wine with superior aromas and flavors. We make one Chardonnay (Sonoma Valley appellation) in a different style – fermented in stainless steel – to showcase wonderful fruit flavors of pear, apple and peach. 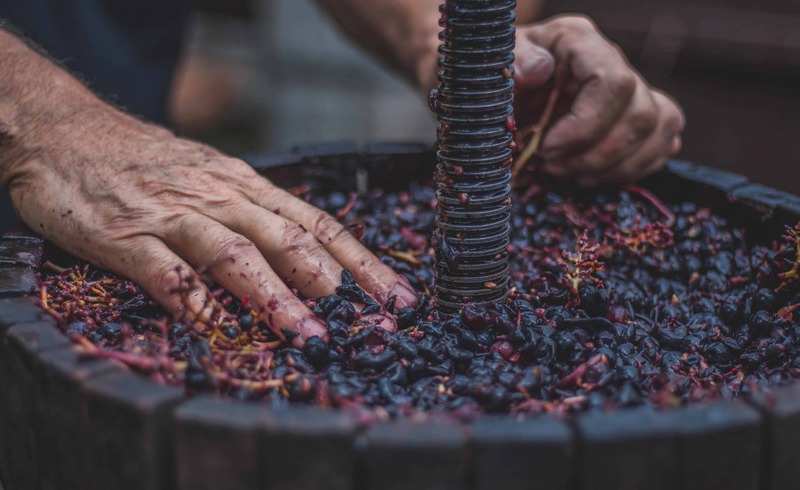 Pinot Noir and other reds are fermented with native yeast in small stainless steel or oak fermentors. 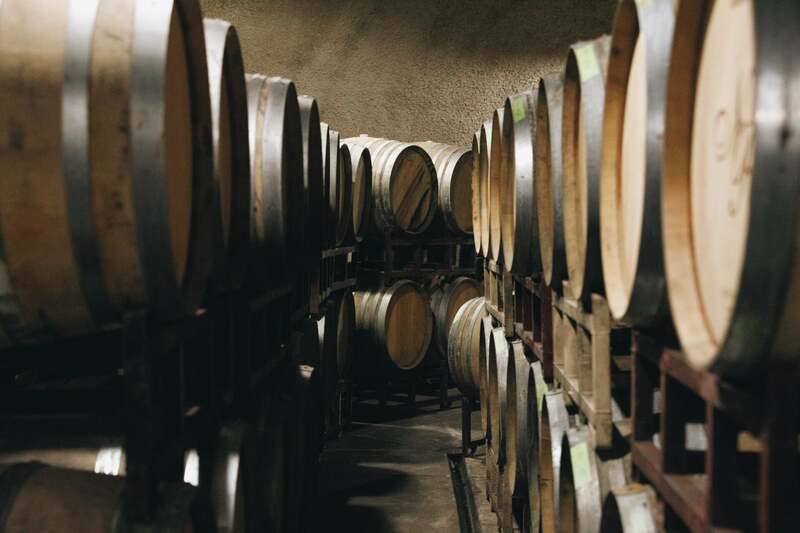 After fermentation the free-run is separated and gravity fed down to barrels in our underground cave cellars. The skins are pressed and the resulting wine is aged separately. Our wines are aged eighteen to twenty months in French oak before we bottle them unfined and unfiltered. Merlot, Syrah and our NIRVANA Pinot Noir are aged for thirty months. 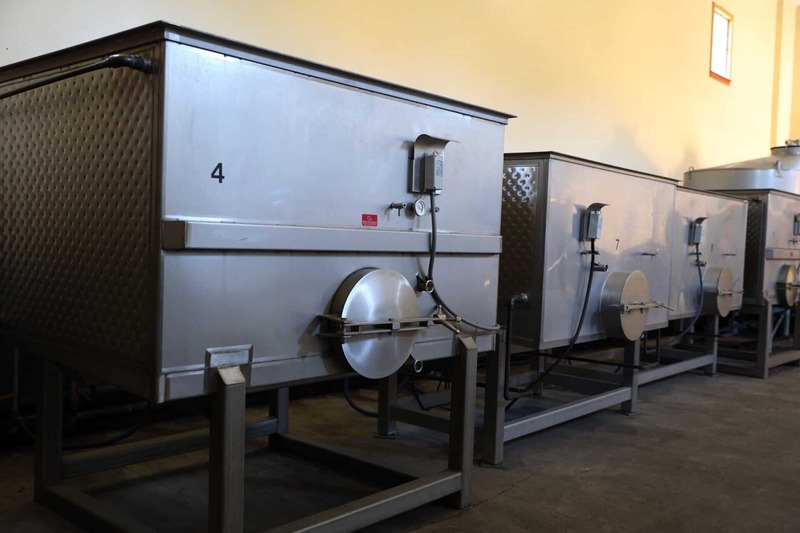 We do not add any chemicals to our wines with the exception of a small dose of sulfites (usually less than 100 parts per million in total) to assist in bottle aging. 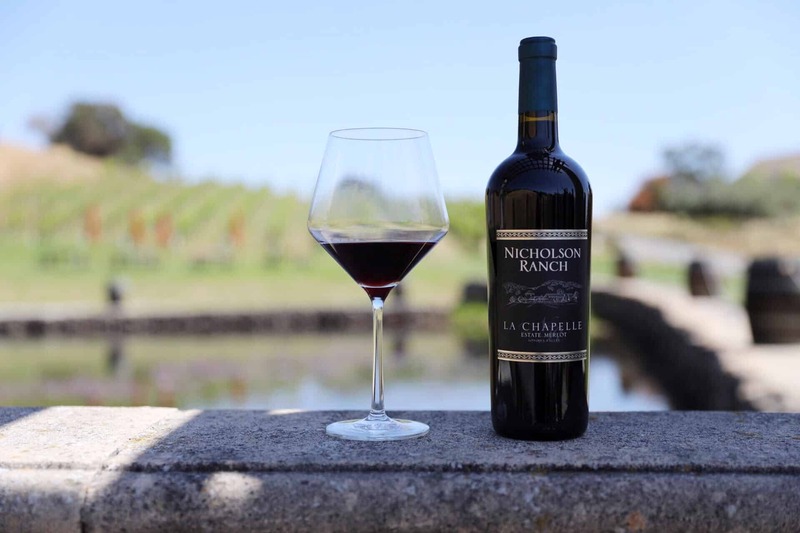 Nicholson Ranch wines are characterized by fresh floral, fruit and spice aromas in the nose, followed by full-bodied flavors and smooth textures on the palate. Our wines are well balanced with flavor, acidity and soft tannins that create an extended and memorable finish. Our viticultural and winemaking practices consistently produce wines that showcase these qualities vintage after vintage.